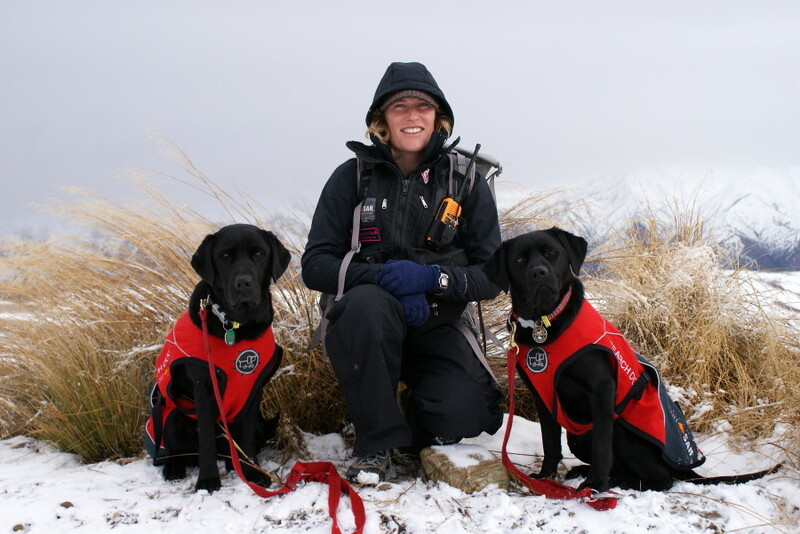 Wanaka Search and Rescue dogs are a small group of dog handlers aiming to provide a volunteer search and rescue dog capability for various search situations.The team operates under international minimum standards, and train and evaluate to this level. The group also holds charitable body status and survives on sponsorship and donations. SRDW has access to Search Dog Teams qualified in Avalanche, Bush/Wilderness (Area Search and Tracking) and Urban Search. Having this resource available 24 hours a day may be the difference between life and death for a missing person. A dog’s nose is many times more sensitive to scent than a human’s nose. Dogs also cover large search areas more quickly and effectively than people. Once on a search site, dogs have proven to be an extremely useful and effective search tool. Our service is not, however, a substitute for being equipped and informed when travelling into the outdoors. Training a Search Dog team (dog and handler) is costly in terms of both time and money. Handlers must be members of their local SAR Organization. Hold a current basic first aid certificate and have attended a track and clue course. Have sufficient skills, knowledge and equipment to be able to sustain their own, their dogs and a lost subject’s life for a minimum of 48 hours. Both dog and Handler to be comfortable in all aspects of travel including having been lifted or lowered by strop from a helicopter. Handlers are expected to be able to liaise, plan and report aspects of the search to a Senior Adviser.